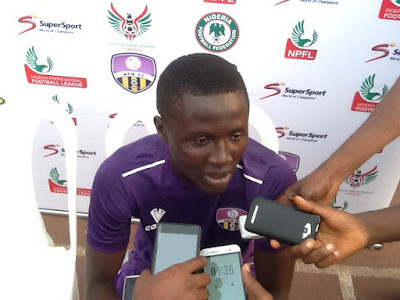 Teenage sensation, Adebayo Waheed, became an instant hero at the Agege Stadium, on Sunday, as his goal earned MFM maximum points in their Nigeria Professional Football League (NPFL) clash against star-studded four-time champions, Kano Pillars. The relatively unknown teenager came in as a substitute and hugged the headlines instantly, as he beautifully connected a pull-out from Stanley Okorom to bring the stadium alive. 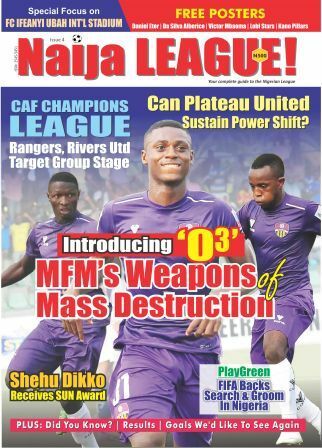 With Pillars concentrating on MFM's famous quartet of Stephen Odeh, Chukwuka Onuwa, Sikiru Olatunbosun and Adekunle Adegboyega, the unmarked Waheed moved in like 'a thief in the night' to do the damage. “I dedicate this goal to my fans and the team”, the former First Bank forward said to naijaleague.com.ng. Waheed applauded MFM gaffer, Fidelis Ilechukwu, for preparing him for the match. “The coach told me I will join the game in the second half. He gave me all the tips and that is the reason why I ran to him after scoring the goal”, he told naijaleague.com.ng. Waheed becomes the first MFM rookie to score a goal in the NPFL this term.